The Charlton Hero in a nut shell. 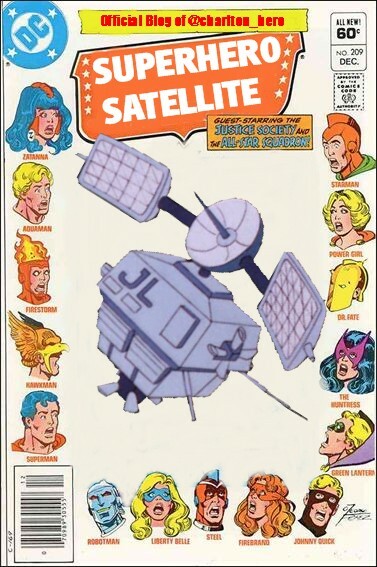 Hey folks welcome to my blog The SuperHero Satellite. Really appreciate you stopping by. So this is the “About” page so let me tell you a little about myself. First off I am a proud Dad to 4 kids and a Husband to one very patient woman who allows me to indulge in my hobbies without throwing my packed suitcases to the curb. Love you babe! I was a DC comics fan as a very early child! 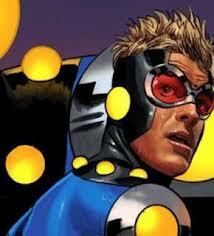 Super Heroes captured my imagination and still keep it to today! Next, have a ton of hobbies that keep me busy in my non parent/husband role. I am a Comic Book Fan since the very early 80s. My first exposure to the medium were Marvel and Dc comics that my Mom would give me at the end of every month as she worked at a local convenience store. Every month they would have to remove all titles off of the magazine rack and send them back to the companies for a claim. The magazine company only asked that they send back the covers of the magazines with the bar code on them for their return so the remainder of the books were usually tossed in the trash unless employees wanted them. So I inherited an extensive coverless collection of titles for a couple of years and I loved it! I scanned those early pages in detail every month. Spiderman, Superman, The Justice League, Star Wars, The Avengers, and The Legion Of Superheros I read them all. I eventually went on to amass a 7000 book comic book collection when I got into buying comics myself. Wrestling didnt get any bigger than this! The MEGA POWERS! My Saturday morning mainstay! Wrestling was another passion of mine. It was always on at my house when ever it aired in Canada, however I was unimpressed. It wasnt until an early episode of Saturday Nights main Event that I saw Hulk Hogan and King Kong Bundy go at it that I was hooked.I never looked back. Being a Wrestling fan is never the easiest as it has gone through its cycles of being cool and not cool depending on the times. The “Fake” catcalls never bothered me at all and I proudly wore my wrestling attire and merchandise where ever I went. I love it to this day and do not miss an episode. 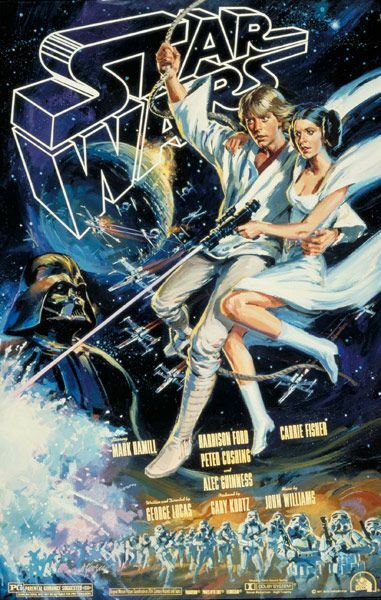 STAR WARS the original movie was and remains my favorite movie of all time! No other film ever made me so passionate about its characters! Yes I am a Luke fan! Television/Movies, especially Sci- Fi has been another passion of mine. Star Wars, “V”, BattleStar Galactica, Star Trek, just to name a few were my favorites. Cartoons were also a hobby. Robotech, He-Man, GI Joe, Jem and The Holograms, BraveStarr, Smurfs, etc. I am a podcast lover as well. All my hobbies all have great podcasts my early introduction to podcasts came through the PWTorch website that I am a proud subscriber. They offered a VIP subscription that offered an online version of their Newsletter, access to their ad free website and audio content. I listened to early episodes of their Podcasts like The Daily Keller Hotline and The Bruce Mitchell Audio show and I was hooked. Eventually I got into other wrestling podcasts, then I found Comic Geek Speak a Comic Book podcast that discussed comics and everything else that I loved outside of wrestling. This is when I became a faithful daily listener of podcast’s which I listen to everyday and enjoy very much. My introduction to Podcasts and the rebirth of my passion for Comics! Thx CGS! The SuperHero Satellite is the place for those who ever thought of being that Professional Wrestler, of being that next hot Artist at Marvel Comics or who ever dreamed of simply saving the Galaxy with your buddies and a wicked Light Sabre to remember you are never to old to be that kid again. My kids think their Dad is a big nerd..and part of me loves that..I think they kind of do too. Great looking site! Keep up the great work! And thanks to FKAJason for the endorsement of the FIRE & WATER PODCAST! Much appreciated! Thanks gang. Great to have you inboard!